The perfect funny gift in retro look, not only for individuals - also a nice gift for anyone. A book for photo memories as a gift. 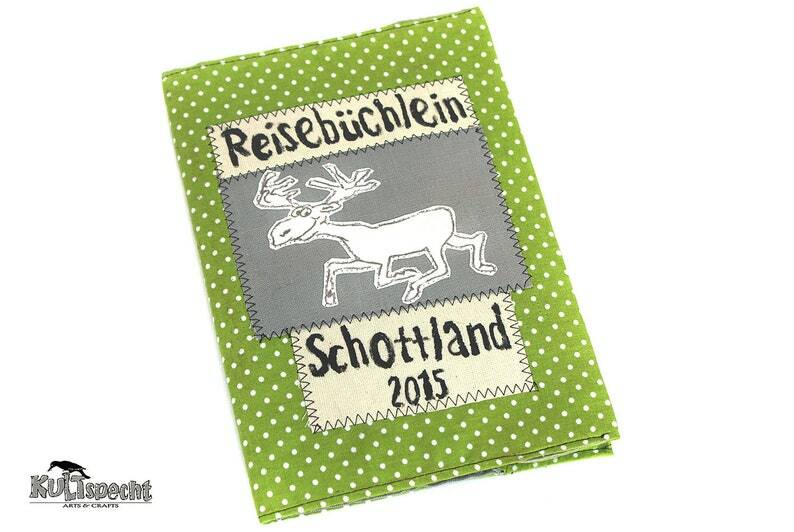 Hand-stitched design Stoffhülle about a booklet with 20 sheets (40 pages) white 200 gr. Paper. The drawing is printed on cloth-like material and sealed surface, so that the cloth bag can be washed sometimes. The label is hand-printed and with labeling in English also possible (Travel book). Only the year and country name can be printed as desired (included in the price).